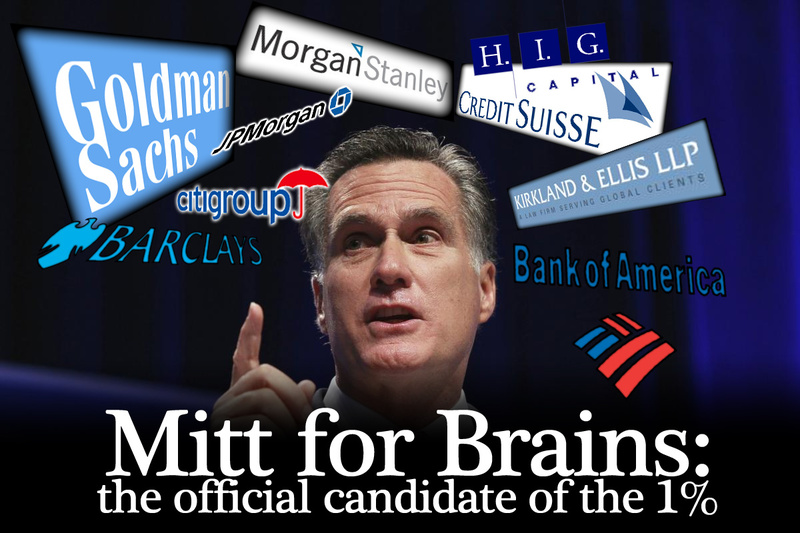 Candidate Mitt Romney is the 21st Century's most corporate candidate, with $20,882,176 (73%) of his campaign donations coming from wealthy corporations like Goldman Sachs, Morgan Stanley, Bank of America, and (surprise!) his own Bain Capital (source). 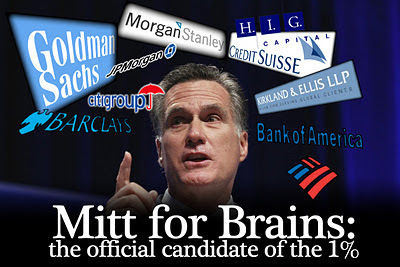 Indeed, Mitt Romney is truly the candidate for the 1%.